During the holidays, inboxes everywhere are flooded with sales and coupons, big announcements, and special events from brands and companies. So how can you make your email marketing campaign stand out and show ROI for your efforts? One of the most effective ways to see a return on your email marketing is to segment your subscriber list. Divide your list of contacts into smaller pieces based on appropriate data points, such as "Date of Last Purchase" or by persona type. This is particularly useful with returning customers. By personalizing emails for current customers, you can craft messaging and imagery that appeal specifically to those who fit the criteria. Existing customers love seeing information about your deals and specials because they already know they like your brand -- that's why they bought it in the first place and then subscribed to your email list! Use your own email data from past holiday seasons as a guide. Analyze what works best in terms of subject lines, timing, open rates, click rates, even the subject matter itself. If your email subscribers go gaga for content featuring dogs and cats, you should know that going into holiday email marketing strategy. A/B testing is a good practise for email marketers generally but is especially important during the holiday rush. What is A/B testing? Also known as split testing, A/B testing involves setting up two variations of one campaign and sending them out to test groups to see which email format performs better. Email Subject Line Wording - Does one subject line get more opens than the other? Location of the Call to Action - Do more people click on the CTA in the footer or the header? Imagery - Does one image capture your audience's attention better than the other? There is a ton of information about A/B testing out there and that's because it is a great tool for marketers. By testing your own audience for their preferences, you know exactly what they want to see and hear from you. How great is that?! As Dan Taylor said, "If you're not measuring, you're not marketing." Most email marketing platforms include data insights that can be very valuable to your marketing and sales team. Even if your email tool doesn't provide data insights, you can set up tracking links in Google Analytics to see how much traffic on your website is the results of email clicks. 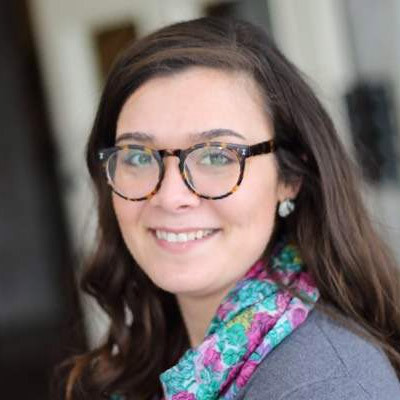 Before sending a single email, strategically determine which pieces of data you would like to collect and get all of those pieces in place before moving forward. Desktop vs Mobile data might be really helpful in determining imagery and layout for your email campaigns. 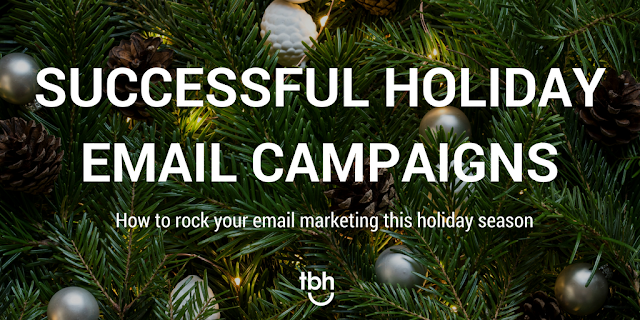 While it may be tempting to send a ton of email blasts to share your awesome holiday campaign -- don't. Sending too many emails is likely to result in a higher "Mark as Spam" rate which will have a negative impact on your email marketing efforts. Email providers incorporate multiple measures to protect their users from spam messages and if enough people mark your messages as spam, they can block your emails from hitting inboxes, even if users have subscribed. 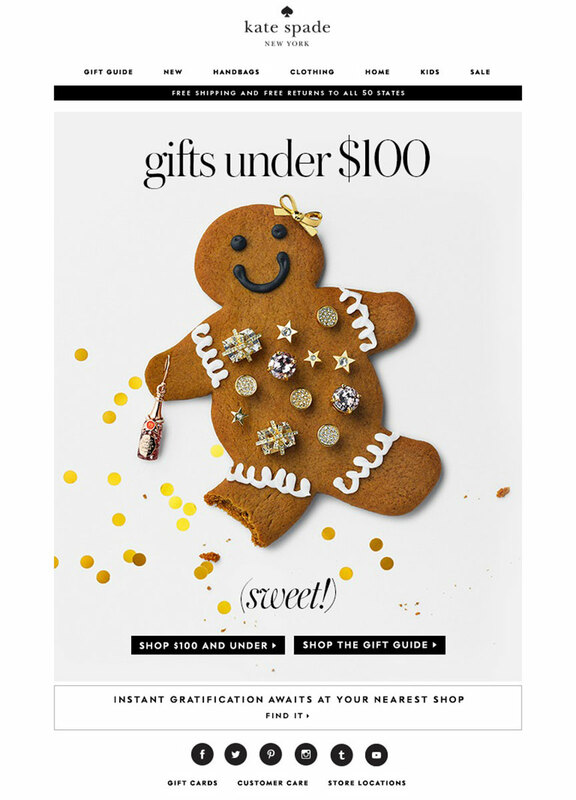 For holiday email success, give the UNSUBSCRIBE more prominence to avoid being marked as SPAM. In addition to limiting the number of emails in your campaign, to protect your reputation with Internet Service Providers (ISPs), it might be a good idea to make your UNSUBSCRIBE option more visible during holiday campaigns. Losing subscribers is no fun but it is the better alternative to your emails being flagged as SPAM. Why is responsive email design so important? As of November 2016, "mobile email will account for 15 to 70% of email opens, depending on your target audience, product and email type," according to eMailmonday. If your emails are not mobile-friendly, you are missing out on a huge opportunity to capture and communicate with your audience. As you are finalizing your holiday email campaigns, include "Test on mobile devices" as a necessary checklist item before launching your campaign. Holiday email campaigns have a lot of competition and can get buried or lost in inboxes. Be straightforward with your messaging and simplify the user-experience for your subscribers. Offering too many options or burying the goods in lengthy paragraphs can stop a consumer in their tracks. Strategically map out how to tell the whole story with appropriate imagery, subject line, and email content as concisely as possible. As with any marketing effort, your holiday email marketing will be most successful if it is well-thought-out and strategic. After sending the campaign, be sure to analyze the data for what worked well and what can be improved. Incorporate those notes into your next campaign strategy and start the whole process over. Not only will your holiday emails be more successful, but your email strategy as whole will benefit. How do you plan to leverage the power of email newsletters to engage your customers? If you're looking for help planning and writing effective emails, TBH Creative is here for you. With our wide range of services and years of expertise, we can help you develop a plan to make this year a successful one for your company.